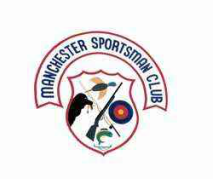 New members are always welcome to join the Manchester Sportsman Club. To join, prospective members need to attend a regular membership meeting (see dates to right), pay your annual dues, and be voted in by the membership. Membership year runs January 1st to December 31st. Membership includes: spouse and minor children living in the household. Upon reaching the age of 65 AND 10 years continuous membership, membership dues are reduced by 50%. After July 1st, New Members may join for $25 for the rest of 2019. Regular dues will be due at the beginning of 2020. All members receive a gate key, and can use the pistol/rifle or archery range during normal range hours, anytime that there is no rental or activity in the club building. Check the Club Calendar page for activity/use schedule. Upon reaching 2nd year of continous membership, members receive a $100 discount on building rental. Contact Rental Manager for details. Members are required to perform 3hrs (minimum) volunteer/work time at the Club annually.